If you are getting divorced and seeking visitation, you must attach a parenting plan to your divorce petition. If you are the recipient of a divorce petition, file a parenting plan with your response to the petition. The clerk of court in your county can give you a blank parenting plan to fill out or you may write your own. Parenting plans should address regular visitation, holidays, decision-making authority and other factors that affect the child's daily life. Your parenting plan should help maintain stability in your child's life. Parenting plans that reflect the child's best interests are more likely to be accepted by a judge. If you are the child's father, but you and the child's mother were never married, you must establish paternity before seeking visitation. You and the child's mother may file a Voluntary Acknowledgment of Paternity with the Nevada Department of Health and Human Services. If the mother will not acknowledge paternity, you must file a petition for paternity in the family court in the county where you reside. This typically requires that you submit a paternity test. After a judge declares you the legal father of the child, you are then entitled to full parental rights, including both custody and visitation. If you have established paternity, you may complete a petition to establish custody and visitation. 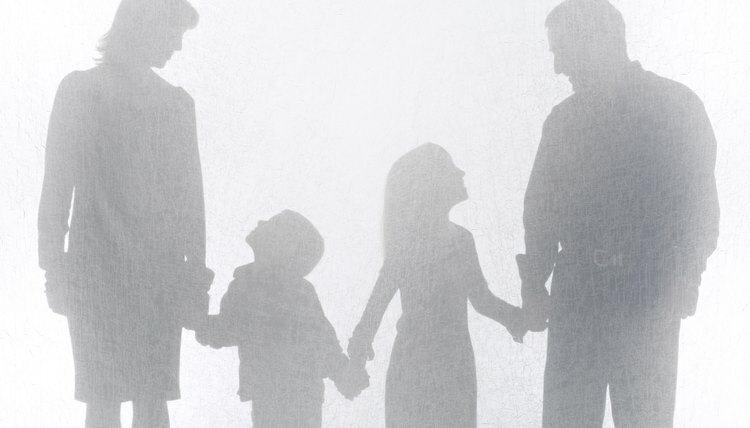 Determine the type of custody arrangement you want. Joint legal custody grants both parents decision-making authority over the child, while sole legal custody gives only one parent such authority. Physical custody, on the other hand, refers to the child's place of residence. Generally speaking, if you are only seeking visitation, you may want the other parent to have physical custody while the both of you share legal custody. Attach a parenting plan detailing your desired visitation schedule to the petition. If you were originally denied visitation or you wish to change your visitation schedule, consult the other parent first. Nevada requires parents to attempt resolving custody disputes before involving the court system. If the other parent will not agree to change visitation, you must demonstrate a material change in the child's circumstances. If you were denied visitation for a specific reason, show this reason is no longer relevant. If you did not originally seek visitation, you must demonstrate why changing your child's schedule is in her best interests. Changing custody orders can be challenging, particularly if you have been denied visitation, so you may want to consult a lawyer. Indiana family courts were established to protect children and their families. A child's interests are protected, in part, by ensuring visitation with their non-custodial parent. Unfortunately, some custodial parents repeatedly deny visitation, even when a court has determined visitation is in the child's best interests. To enforce your visitation rights, you will need to document the denied visitation and file a petition for contempt.